Network | Com-Tech of Miami, Inc. Network - Com-Tech of Miami, Inc. 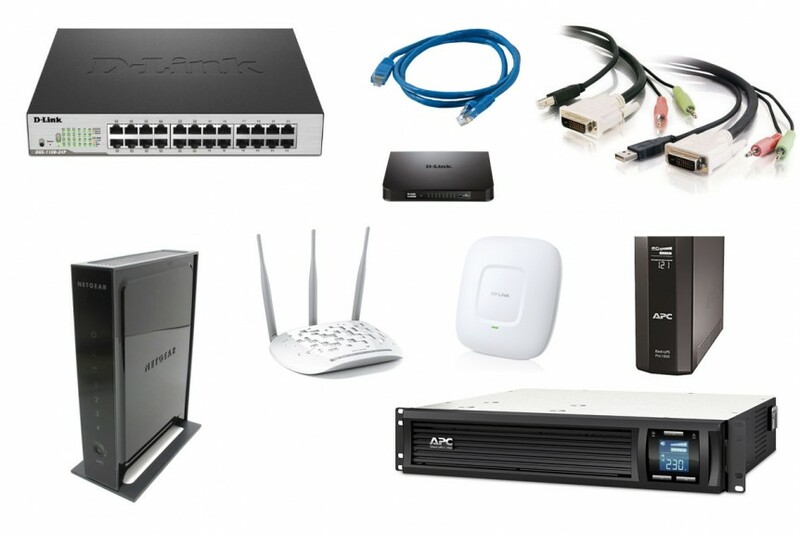 Whether you need networking products for business or home, Com-Tech offers high end, reliable wired and wireless network products. Get expert advice and sound solutions to your networking needs. From business class routers with “Denial-of-service (DoS) attack prevention” to home network routers with “Parental Control” capabilities, Com-Tech sells most major brands of routers and can also do the installation and custom configurations for you. We provide best-in-class “Gigabit” network switches that range from 4 & 5 port switches all the way up to 24 ports and more. We also sell “Power Over Ethernet” (POE) switches that can be used to control your Wireless Access Points. From Wireless Range Extenders to Access Points, Com-Tech sells a wide variety of wireless products that provide you with wireless capabilities in your home or at work. Have Wi-Fi dead spots in your house? A range extender or repeater can fix that. Need secured Wi-Fi at work with management and reliability on your existing network? Wireless Access Points powered by ethernet can provide the security and reliability needed with management capabilities. Com-Tech provides Enterprise Class Battery Backups or (UPS) Uninterruptible Power Supplies for Servers and desktops. We even sell mobile power packs! We also sell battery replacements for UPS’s. We provide ethernet (patch) cables, cable connectors and ends, ethernet wall jacks, and USB cables used for printers and other devices. Com-Tech provides “WiFi Solutions” and “Networking Solutions” for business professionals and individuals in industries including healthcare, government, education and field force automation. If you need WiFi & Network computing security, reliability, and versatility, we have the products that you demand. Give us a call today or send us an email to get more information for wireless products you can use today!